(21 minutes) In this episode, Hackie Reitman, M.D. speaks with Dr. Gail Saltz. She is a Clinical Associate Professor of Psychiatry at the New York Presbyterian Hospital Weill-Cornell Medical College, a psychoanalyst with the New York Psychoanalytic Institute, a columnist, bestselling author, podcast host and television commentator and one of the nation’s foremost go-to experts on a variety of psychological and mental health issues. Her newest book is called The Power of Different: The Link Between Disorder and Genius. She also hosts a podcast by the same name. 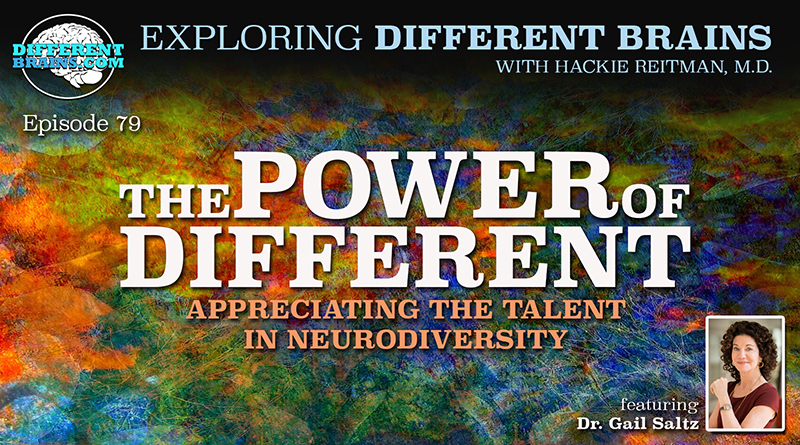 Dr. Saltz discusses what she considers the “power of different,” the importance of ending stigma related to neurodiversity, and lists some of the amazing people she has covered in studying the talents of those with different brains. HACKIE REITMAN, M.D. 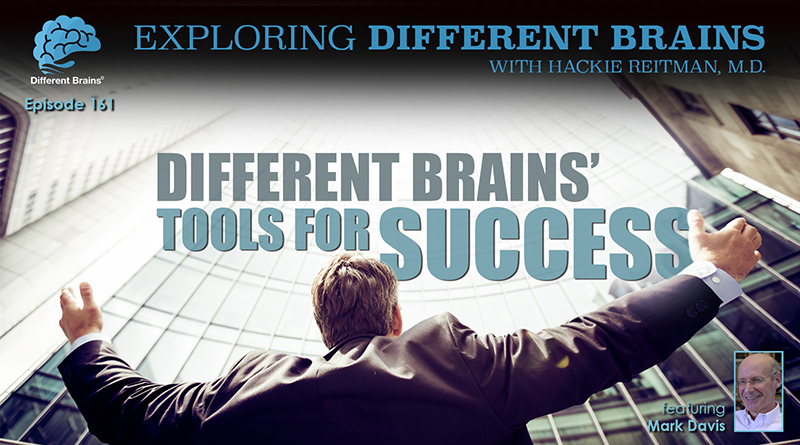 (HR): I am Dr. Hackie Reitman, welcome to another episode of Exploring Different Brains. I am very excited about today’s guest because Gail Saltz who does about ten million different things. I have seen her in all of the shows, she is on all of the big national shows. She is juggling a lot of things, so I wanna read them to you, so I don’t mess them up. She is a columnist, a podcast host, a television commentator, a best-selling author of ladies podcast “The Power of Different, the link between disorder and genius”. She is also a clinical associate professor, psychiatry, in the New York Presbyterian hospital and a psychoanalyst with the New York psychoanalytic institute and she is with the Weill-Cornell Medical College. Gail, welcome, thanks for being with us. GAIL SALTZ, M.D. (GS): Well, thank you for having me. HR: Now, what did I miss in your introduction you’d like to tell our different brains audience? GS: I think you pretty much covered it, but it happens that this lady’s book and to some degree as well as my podcast really focused on clearly the content you are covering and find it to be important that the topic of neurodiversity and the need for better understanding and changes in the mental health field regarding the differences that exist among us. GS: Sure. It is the fact that there are certain differences that occur in the brain from a wiring perspective, I will say, that may cause one to be present with some symptoms; symptoms of depression, anxiety, difficulty concentrating, and maybe difficulty socially relating to others, maybe it’s even psychotic thinking, or maybe it is a learning disability of some sort. But those same differences are in wiring that may cause particular symptoms, often have a very strong correlation to wiring that also presents as a very particular strength, so, the potential for great ability or literally that great ability that often leads to extraordinary success and talent, and even in some instances, genius. HR: Now, you have covered so many different topics, I enjoyed watching a lot of your videos online. Yesterday, I was looking at a bunch of them. What are your favorites, if there is such a thing– like how do you connect all the dots? 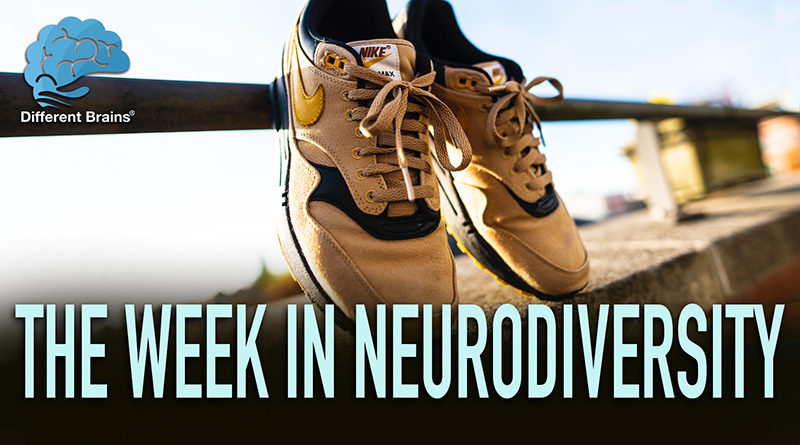 See what we are trying to do at differentbrains.com is get all of the different intellectual disabilities, neurological differences, brain differences, whatever you wanna call it, and I always hesitate to use the word disability, I prefer differences. But whether you are talking about mental health differences or developmental differences or neurological differences; in the way my brain works, they are all connected and a lot of the same tools they will work for Alzheimer’s will also work for autism, up to a point of course. How do you see that whole spectrum and pick out some of your favorites? GS: Well, I do come from a medical model and I am an MD, and I really have spent my career mostly looking at what have been termed, you know, from the diagnostic and the statistical manual, very particular mental illnesses. But what I have come to understand over twenty four years of practice now and other things that I have chosen to do, series of talks that I have invested in for many years, looking at the histories and the biographies of iconic geniuses, really, of all time you are talking Einstein and Hemingway, Beethoven. But all of them that I choose to talk about really because they were the icons, not because they hide illness, they all hide illness, they all had struggles that today would be defined as illness. So, that combined with the work that I have done, combined with the burgeoning neuroscience and that is really exploding right now in terms of our imaging abilities to look at wiring and structure and neuro-transmitter levels, activity. Really, I would say these have conspired to bring me to the point that I am at now. You know, in my early days, I would have been talking to you about well, here are the criteria for major depressive disorder and you know, that’s what we need to look at and that’s what we need to treat. I am not saying that we don’t need to look at those symptoms and we don’t need to treat them, we certainly do but what I have come to understand from the data available and from the work that I have done, is that we really all have a very different brains from a wiring perspective. And it doesn’t matter to me whether you call it neurology or whether you call it psychiatry, again these are just labels. The brain is an organ and if you wanna study that organ and understand it more deeply, you will have to understand that there is more variation between people, brain to brain, than any other organ, essentially. And that our wish to put them in very specific boxes, so that we can understand and treat them and have insurance companies reimburse us for those treatments has really fallen short of what is, in all reality, this tremendous bell-shape curve, this great variation. And that are trying to also label them as good or bad is also extremely primitive and does not get to the reality that these differences have, obviously potential downsides, but they also have potential real upsides. If you ask me what is one the most important things I think I have been working on for many years in different angles, it’s the issue of stigma, because that is the number one thing that keeps people from getting help. And so, I realize that if we are looking at it at the wrong way and we are looking at it all as a negative which we have been, then, of course it is stigma will remain. You know, there is just no other way to feel about it. But if we looked at it with a more truthful eye, with a more data driven eye, then we would see that while there might be things that you want to get help for so that you can feel better and enjoy yourself and life more. At the same time there are positives to be mined, to be utilized, to be really used so that, one, you can have success and independence and maybe more importantly to feel good about yourself, and to realize that reductionistic view doesn’t really make sense. Therefore, there is no reason for this stigma that we hold from the olden days to keep pursuing. So, that has been sort of my motivation. For the book, I chose to really explore that by choosing some of the most common symptoms that people suffer and the most common symptoms that people came to me for in my practice; anxiety, depression, bipolar disorder – meaning – sometimes you have episodes of feeling depressed, sometimes you have episodes of feeling what’s called hypomanic or manic. Difficulty relating to others which people might identify meaning you are somewhere on the autism spectrum depending on how probative the difficulty is. Difficulty with distractibility, and concentration, and impulsiveness, again, people might have been told they have attention deficit disorder or attention deficit with hyperactivity disorder or something in the — I would say, odd thinking realm, you know, people who have really unusual odd thoughts, they don’t seem to fit with thoughts that a lot of people have. And difficulty with learning of some sort, so, reading processing or math processing. These things are the most common things that people present with, and so I really try to address both the understanding of those from a wiring perspective and an experiential perspective but also, the very particular strengths that tend to come with each of these individual symptom clusters. HR: What I’d like to do is ask you about your psycho-biographies because you have interviewed some of the most famous people in the world and gotten them to open up to you, and I will let you drop their names but they are pretty—there’s a murderer’s row there. I mean there’s pretty impressive stuff; can you comment on that because that helps so much mainstreaming what we are talking about, and removing the stigma. GS: So, I do think that’s true, I think it’s human nature to look for role models, to look for people to emulate and to be inspired, and I think that when the role model as had the same struggle that you have had, that’s a real opportunity to bring someone in and to help them understand so that they too can be inspired and enrich their potential. So, I have dissipated some wonderful people for the book and they range from, I guess I mentioned David Sedaris, who is one of my favorite writers actually – so funny. But clearly absolutely uses those anxiety issues, his OCD issues which he suffered quite extensively and still does to some degree, but he used them very particularly to inform his writing literally and content but also in style. He uses it in his work ethic, in terms of somebody who has churned out an amazing amount of material and all goes through, and he is quite perfectionistic about it which is part of the reason they are quite honestly why it’s as wonderful as it is. So, I think he is right forthcoming about the connection for him which were the anxiety, OCD and his great success and being a comedy writer and an incisive writer. Other people, let’s see, Andrew Solomon, another writer who is, you know, a prize winning noonday demon, far from the tree, really outstanding. A go to writer when it comes to some of the most tragic new stories of our time, at the Newtown Shootings, etc. Have people go to him, that the father of the shooter went to him to tell his story and so on, because he is so able to tap into people’s emotional state, he has an empathy and an intuitiveness and he connects with others and then he can put it in his writing in an astonishing way, so—his writings are very-very prised and revered. And he would say that his depressions greatly informed his ability to have that kind of empathy and sensitivity and go to that dark place in his writings. But that also, he had up times, hypo-manic times where he has very creative thoughts and that’s a characteristic that absolutely comes along with hypo mania, highly original out of the box thinking, ability to produce at a very high level, a lot of content. A different kind of talk series that I have done in the psycho-biography is looking at historic people. Along the lines of Andrew Solomon who will be like Ernest Hemingway, who clearly called upon his dark times to write some very sensitive and tragic material but, his books where all written clearly during hypo-manic periods where he had high energy, voluminous ability for output and highly original and creative thoughts, so, there is no doubt about that. Sadly, Ernest Hemingway never got treatment, he ultimately committed suicide. So, I want to be clear that these people all suffer mightily and they should, should, should get treatment. Most of these things are highly treatable, and it does not diminish the strength that comes along with the issue if you get treatment, so, that’s important for people to understand. But I also talked to many wonderful scientists, for example Dr. Beryl Benacerraf who invented or discovered, I should say, the method of detecting Down syndrome in a fetus in utero. And she has quite severe dyslexia but her visual-spatial abilities mean things pop up for her on X-ray and on ultrasound and in other imaging that she sees. She sees patterns in a way that you and I can’t see if we don’t have dyslexia. It really just jumped out, she didn’t even realize that this was like her gift until radiologist pointed out that she did be seeing things that other people would not see including himself until she showed them. So, she was able to use that to create this new testing method which has been so important. In the autism spectrum, I spoke with a wonderful young man, Matt Savage, who is an incredible jazz composer and a musician, he has played with the Boston Symphony Orchestra as a teenager. He played with a band as a elementary school kid and was composing music, really, in his single digit years. He has autism and I wouldn’t even say what we would have called Asperger’s but really that was called mild-autism, he has autism. But, he has this incredible perfect pitch ability to use pattern recognition to compose, ability to, what we would call perseveration on the negative side. But really, that ability to do something over and over and over again makes him an incredible jazz musician, because jazz is patterns of music, repetitively put together over and over again in different ways. 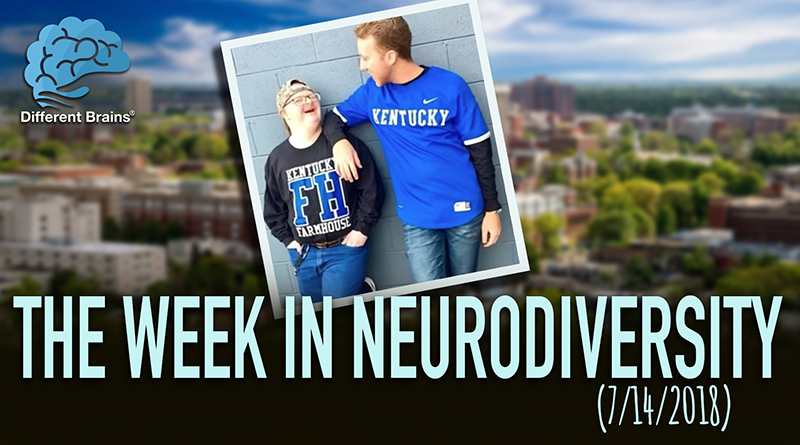 So he is extraordinarily talented, he is going out to get an advanced degree in music and pass college and also has multiple CDs out, and is now teaching music to other autistic kids. So, this is a very special young man. I also feel that the wonderful historical characters that I have covered by speaking with historians and calling the data about the writings of Charles Darwin which made it clear that he had a real anxiety disorder and probably OCD but clearly panic disorder which made him so at tune to every detail and really driven and perfectionistic about ultimately his theories of evolution. Just recently did Diane Arbus, that’s a photographer, the first female photographer of her notoriety and merit and prize winning that really changed the art of photography but struggled with terrible recurrent depression which was likely bipolar disorder. Also, very, very out of the box, original thinking which is what informed her photography as art. HR: Do you have a copy of your book handy to hold up? “The Power of Different” by Gail Saltz, MD. Great stuff Gail, thank you so much. HR: How do people find out more about you? GS: So, if people want to find out more they can go to my website–www.drgailsaltz.com. That’s D-R-G-A-I-L-S-A-L-T-Z-DOT-COM. They can tweet me if they have a question, I am at Dr Gail Saltz. The book is available at Amazon, Barnes & Noble, pretty much wherever books are found. And the podcast, which is also called “The Power of Different,” where I interviewed different, really cool, interesting, highly successful people who have all had a struggle. So, from astrophysics-thinker Howard Bloom, to Dr. Trupinski who probably many of you heard of, to Stacey London – fashion designer who really struggled with a terrible eating disorder, to the editor and chief for the Atlantic Magazine. So, people who are really mainstream, highly successful. I just spoke to a wonderful very, very, well-known chef who has struggled with bipolar disorder, and they all talk about the ways that they manage their issue but also found their very particular strength and used that to be the highly successful people that you all recognize today, people who are very wonderfully candid and open, so, they really tell their story. And that is call The Power of Different Podcast and it is available on iTunes or you can go to it from my website. HR: Well, Dr. Gail Saltz, thank you so much for being a guest here on exploring different brains. You have been a great inspiration to me personally today because you have got the whole big picture that all our brains are different and there is a lot of great strengths there and it’s the power of different. Thank you very much for joining us, Gail. GS: Thank you so much for having me and for furthering the important message that in fact, we all do have different brains and it’s our job to make the most of what we have got.